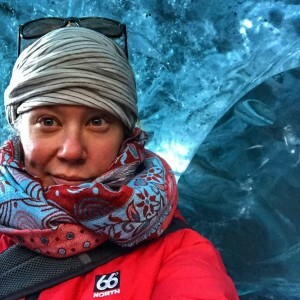 PhD Candidate M Jackson an adventurer, environmental educator, a Fulbright scholar, emergency medical technician, cat-lady, trip leader for National Geographic Student Expeditions, author, and so much more. M inside the recessed lobe of Fláajökull glacier. 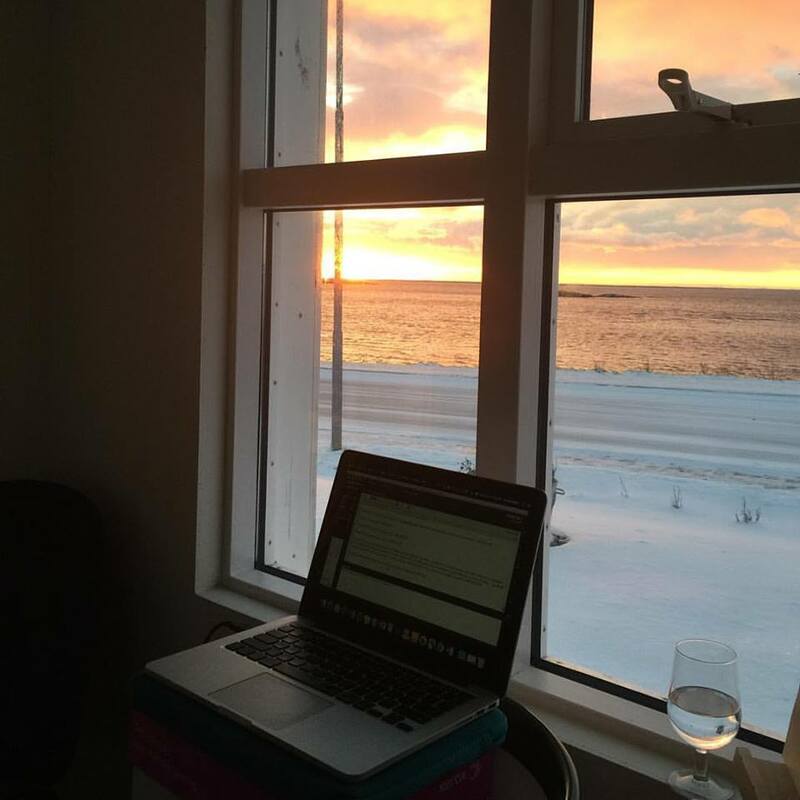 M is currently in Iceland on her second Fulbright-funded research project. 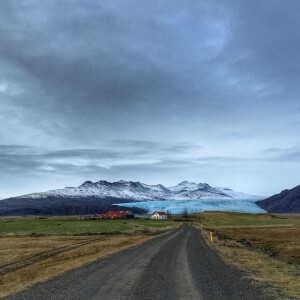 This one is to explore how climate change affects communities near the fishing village of Höfn, Iceland. 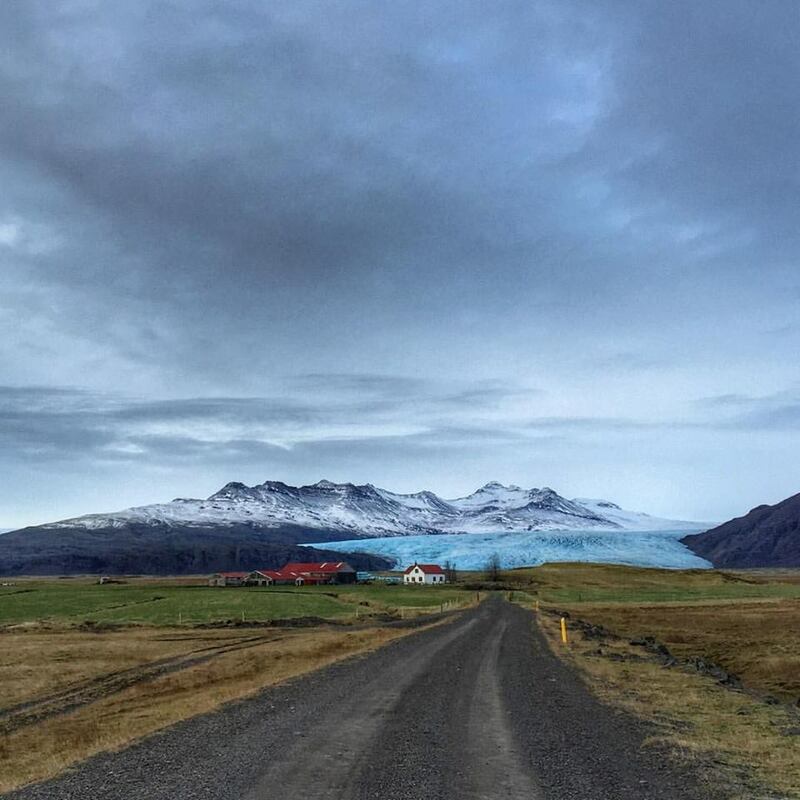 “The Icelandic people have a really strong relationship with their landscape, and that landscape is changing as the glaciers recede. I hope to understand how such rapid change is culturally processed.” She is currently traipsing about the glaciers and interviewing people in the community as they comprehend the rapid change in their landscape. This past August, as M was preparing to leave for fieldwork in September, M saw the publication of her book While Glaciers Slept: Being Human in a Time of Climate Change. The book is a remarkable blending of her own personal history of loss with the global scale transformations being wrought through climate change. While it sounds depressing, the book leaves you feeling inspired and refreshed, ready to take on these mighty challenges. Plus, just like any conversation or exchange with M, you will laugh and cry in the same breath. Most summers, when Pacific Northwesterners finally get to experience their green environment in the sun, M can be found running around cold places (Alaska, Iceland), mostly working as a trip leader for National Geographic Student Expeditions. She manages logistics and people and works to educate everyone who comes through her space about the importance of glacial environments and their own responsibility to works towards a better world. Her past work has taken her to Zambia to work in the Peace Corps and her previous Fulbright Fellowship took her to Turkey. M is also a brilliant photographer and strews her social media with beautiful pictures from her work at National Geographic and her research. 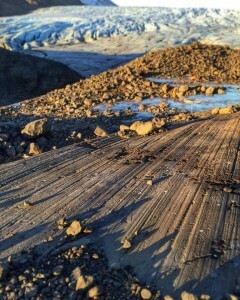 Glacier striations near the terminus of Fláajökull glacier. 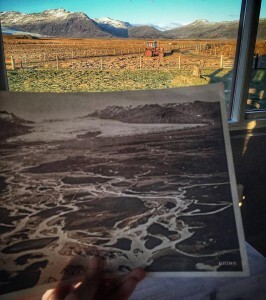 Comparing an older photograph of Flàajökull up to present day Flàajökull in Hólmur. You can see not only the significant deflation and recession of the glacier tongue itself, but also the changed landscape: dams and dikes were dug to control the glacier’s nefarious flooding which allowed for farmers to create successful pastures for crops and grazing. 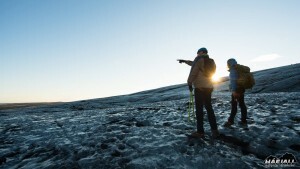 Glaciers and people cohabitate within a truly remarkable landscape. M’s Advisor, Dr Alec Murphy, was able to visit her in November. This time of year, the days are very short in Iceland. Luckily that means constant sunrise and sunset (for the few hours that the sun is up). To learn more about M or to follow her adventures, you can find her at mjacksonauthor.squarespace.com. To read an extended interview with her about her book and passion for the environment, you can read this interview in Yes Magazine.